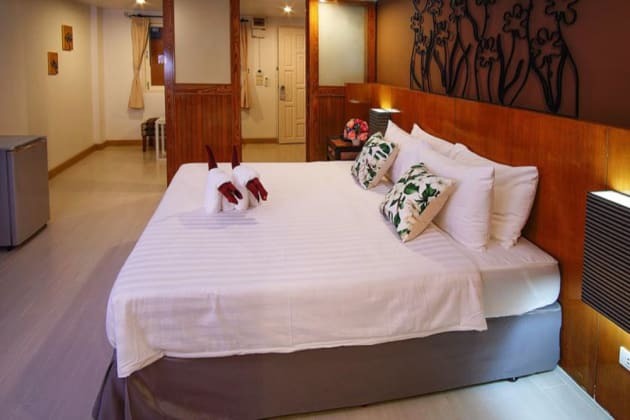 With a stay at Jean Boutique Pattaya in Pattaya (Pattaya Bay), you'll be steps from Pattaya Beach and 2 minutes by foot from Pattaya Beach Road. This hotel is 0.2 mi (0.3 km) from Art in Paradise and 0.3 mi (0.5 km) from Tiffany's Show. 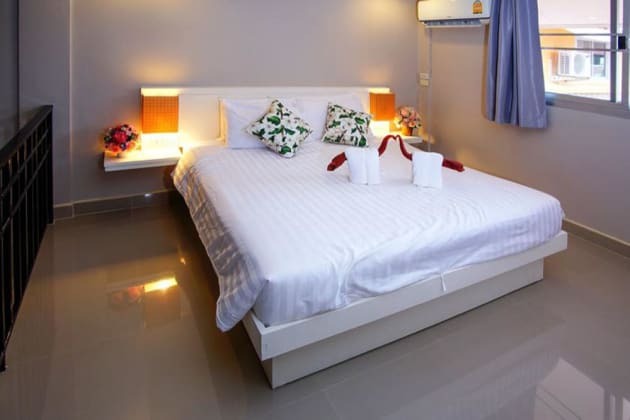 ibis Pattaya Hotel is situated near the attractions of Pattaya and the vibrant nightlife scene with the roadside street food and bargain boutiques all closely nearby. The trendy decor can be seen throughout the 254 rooms, all with WiFi internet access. 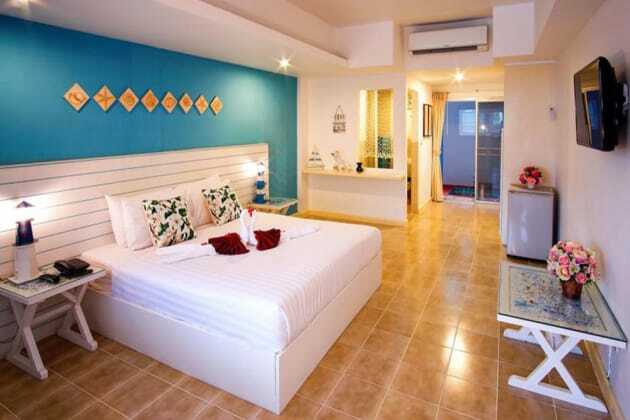 Enjoy a seaside getaway and unbeatable value at ibis Pattaya. 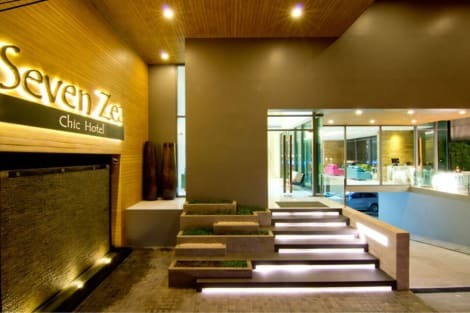 Satisfy your appetite for lunch or dinner at Seven Zea, a restaurant which specializes in Thai cuisine, or stay in and take advantage of the room service (during limited hours). Quench your thirst with your favorite drink at the poolside bar. Buffet breakfasts are available daily from 7 AM to 11 AM for a fee. 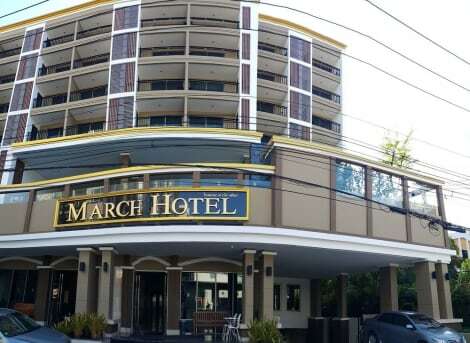 Make yourself at home in one of the 117 air-conditioned rooms featuring refrigerators and minibars. LCD televisions with cable programming provide entertainment, while complimentary wireless Internet access keeps you connected. Bathrooms have showers and complimentary toiletries. Conveniences include phones, as well as complimentary bottled water and blackout drapes/curtains. 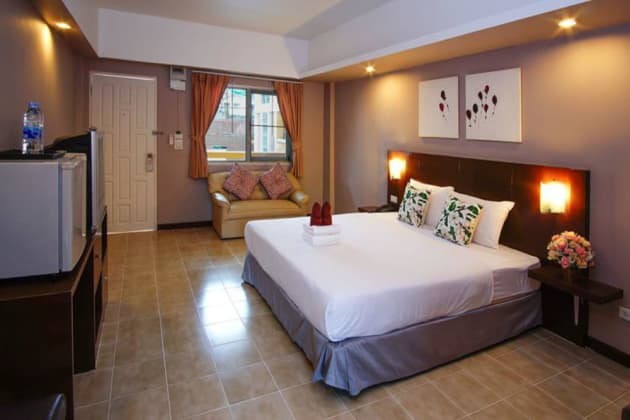 Make yourself at home in one of the 104 air-conditioned rooms featuring LCD televisions. Rooms have private balconies or patios. Complimentary wireless Internet access keeps you connected, and cable programming is available for your entertainment. Bathrooms have showers and complimentary toiletries. Enjoy a range of recreational amenities, including an outdoor pool, a sauna, and a fitness center. Additional features at this hotel include complimentary wireless Internet access, a television in a common area, and tour/ticket assistance.